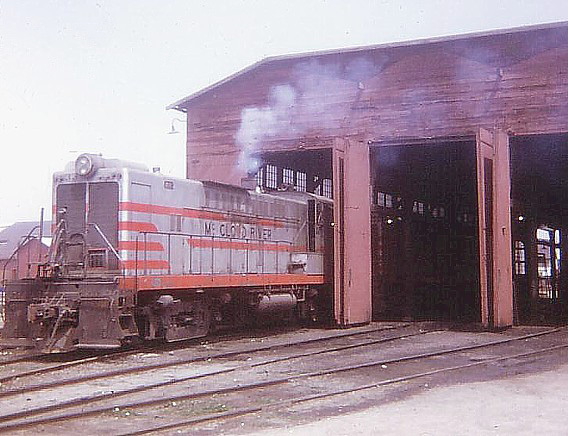 A two year old #33 is seen here in front of the McCloud shop building on 31 August 1957. Photo is by and courtesy of Jerry Lamper. #33 in the McCloud yards. Photo from the George Landrock collection. #33 heading up a passenger excursion at Bartle. Photo by Al Heath and is used with permission. 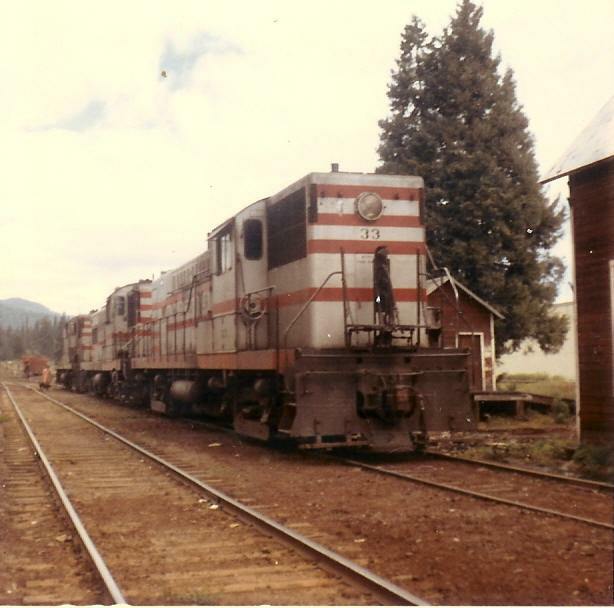 #33 and #32 along with steam locomotive #25 at McCloud on 1 May 1964. Photo is by Ken Douglas and is presented here courtesy of Keith Ardinger. The #33 sitting in the dead line in McCloud awaiting disposition after it was replaced by the SD38's. Photo by and courtesy of Dennis Sullivan. 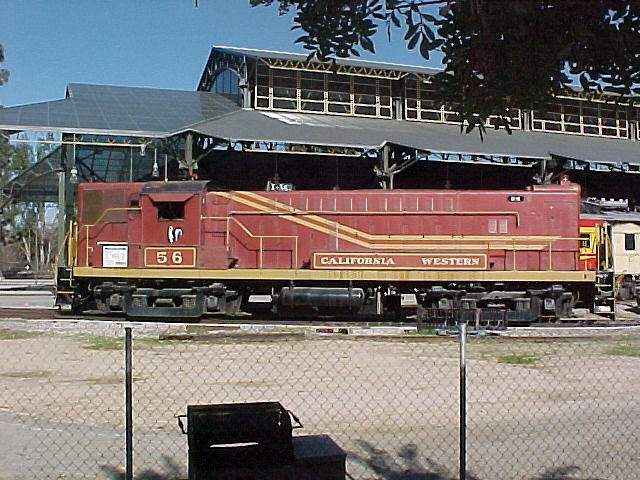 #33 pulling out of the California Western Railroad's shop building in Fort Bragg, California, shortly after it's 1970 arrival on the CWRR but before it was re-painted out of McCloud River colors. Photo by and courtesy of George Landrock. The #33 as it looks today in the Travel Town Museum in Los Angeles , CA . Photo is by and courtesy of John Stumreiter.